Sinopia is proud to present the August 2012 artist of the month: Justin Hess. 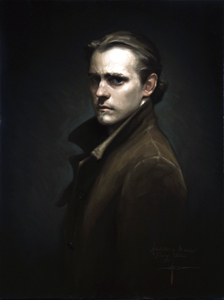 Justin Hess (b.1981) is an emerging artist whose education has taken him from his hometown of Ventura California, to the San Francisco Academy of Art University, and the Florence Academy of Art in Italy. Justin has recently returned to San Francisco after having had an intensive 6 years of study and work in Florence Italy. 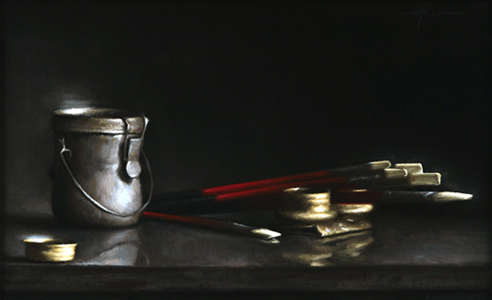 Justin has not only taught and lectured on painting, but also on the preparation of paints and canvasses using traditional materials and techniques. His work has been published in International Artist Magazine, The Artists' Magazine, Art Renewal Centers Annual Salons, and Southwest Artist Magazine. The latter recently named Justin one of 21 artists under the age of 31 to collect now. Justin is the author of Controlling the Creative Process, which offers step by step photographic demonstrations on the process of hand-making your own paint, canvases and frames using traditional techniques. At the age of 31, Justin has already exhibited in Italy, London, Monaco, Norway and the United States of America. His Fine Art is represented by W.H. 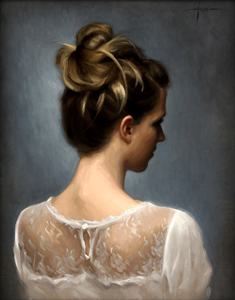 Patterson in London, John Pence Gallery in San Francisco, and Galerie Michael in Beverly Hills. 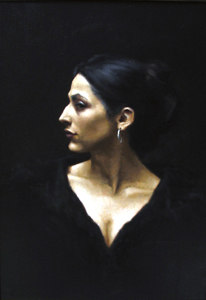 His work may be found in private collections in Australia, Europe, Scandinavia and the United States of America.